With the expected introduction of its Galaxy Gear smartwatch on Wednesday, Samsung will be one of the biggest names yet to jump into this market. Save for Microsoft (s msft), that is. I know because I bought a Microsoft smartwatch nearly a decade ago. Talk about irony: Microsoft was ahead of its time in the smartwatch game! Before Samsung’s product is official, now might be a good time to travel back to 2004 to see the beginnings of the modern smartwatch, because in some ways, Microsoft had the right idea, as evidenced by modern takes on the concept. I remember my excitement when Microsoft announced SPOT, or Smart Personal Object Technology. The idea was to provide useful bits of information to devices over FM waves for a $39 to $59 yearly subscription fee depending on options. Coffee-makers, weather stations and alarm clocks were shown off with small SPOT screens but the poster child was a series of watches with the technology built-in. Fossil, Suunto, and Tissot all offered these smartwatches and I bought a Fossil Abacus model for around $150. I paid the full $59 subscription fee, which included Outlook email synchronization as well. Interestingly, the watch recharged without any wires connected to it. Instead, just like today’s wireless charging pads, an inductive charger was built into a stand for the watch. Plug in the stand and place the watch on it to charge. Sound familiar? 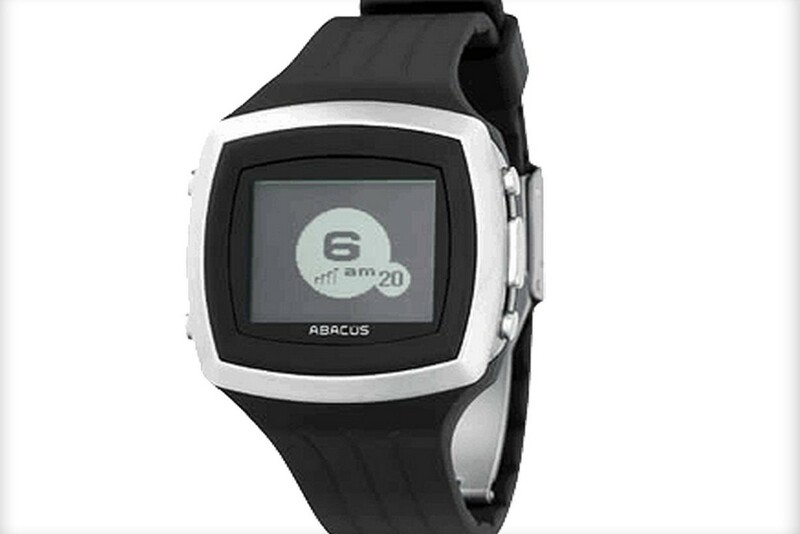 So what could you do with a SPOT watch and its monochrome screen? You had your choice of various watch faces; you could change them as often as you liked. Thanks to the FM radio inside, you could get up to 12 different channels of information from MSN Direct: Think Sports, News, Weather, Stock Tickers and such. Friends on MSN Messenger could shoot a message to your smartwatch but of course, you couldn’t reply: There was no way to broadcast any information from the watch. I recall some hacker-like — and I mean that in a good way — development efforts to extend the functionality of the SPOT watch so that messages could be forwarded from other services outside of Microsoft, for example. The small but passionate community was almost a precursor to the Android developer movement today, at least in spirit. Since FM radio was the key connection, there was no Wi-Fi, nor any Bluetooth. 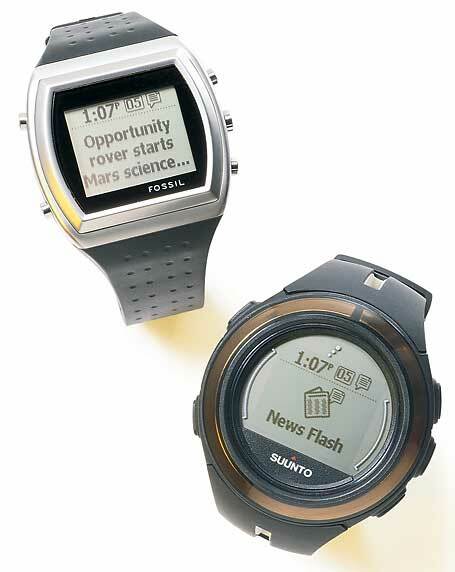 So to that end, Microsoft’s SPOT watches were less of a second screen for a smartphone (or a PDA back then) and more of a standalone device. That’s interesting to me because after 10 years it seems like the market is still sorting out which of those it expects a smartwatch to be. Ultimately, it literally suffered from bad timing. Microsoft relied upon one-way FM radio for data just at the time cellular broadband was getting off the ground. Once that happened, few wanted a watch that could only receive very limited data through 12 MSN Direct channels. In 2008, Microsoft killed its support for the platform and at some point, I lost track of my SPOT watch. It’s probably buried in a the back of my gadget closet; still able to keep the time, but otherwise useless since the MSN Direct service is no more. But you can see much of what Microsoft got right when you examine some of the more popular current watches. Take the Pebble, for example. It uses a low-power, monochrome display which helps save battery life. And the watch functionality has been extended though officially supported channels: Pebble has an SDK for developers to use in the creation of smartwatch apps. Of course, with nearly 10 years of time comes hardware advances. 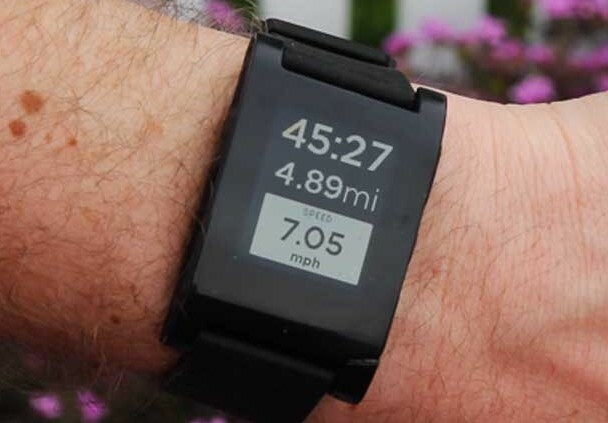 Pebble, like many other currently available smartwatches, connects to a smartphone via Bluetooth connection. This lifeline wasn’t available for SPOT watches and provides a two-way communication method, a way to send data from watch to the wider world and access nearly limitless information sources thanks to the internet. Add in other radios such as GPS and Wi-Fi as well accelerometers and other sensors and you have a more sophisticated timepiece. Pebble surely isn’t the only example in what’s quickly becoming a crowded market that has advanced Microsoft’s original vision. 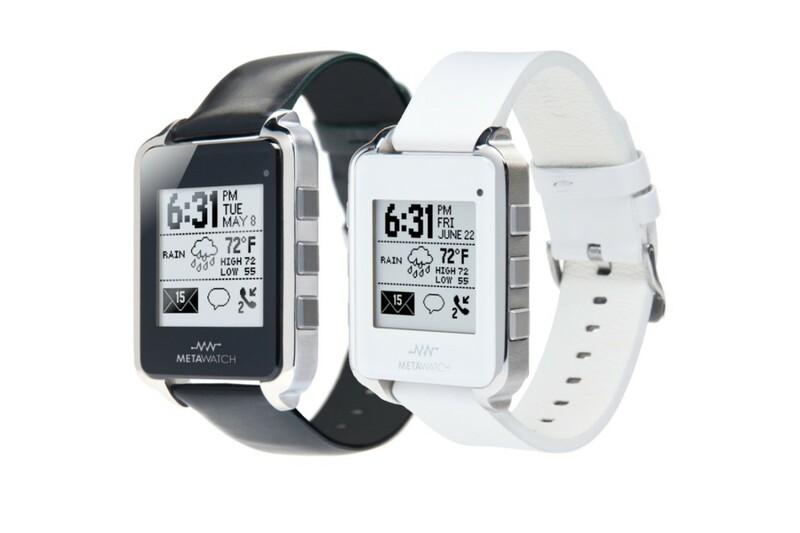 I reviewed the MetaWatch back in 2011 — which ironically broke out independently of Fossil that same year — and looked at the InPulse, the HOT watch, the WIMM (which is now owned by Google), and one of Sony’s Android powered smartwatches. I’ll likely take Samsung’s Galaxy Gear for a spin as well. And to this day, I still run with a Motorola MotoACTV smartwatch, which doubles as smartphone notification screen and a standalone exercise tracker and wireless MP3 player. Look closely though, and all of these have some roots in Microsoft’s original vision. 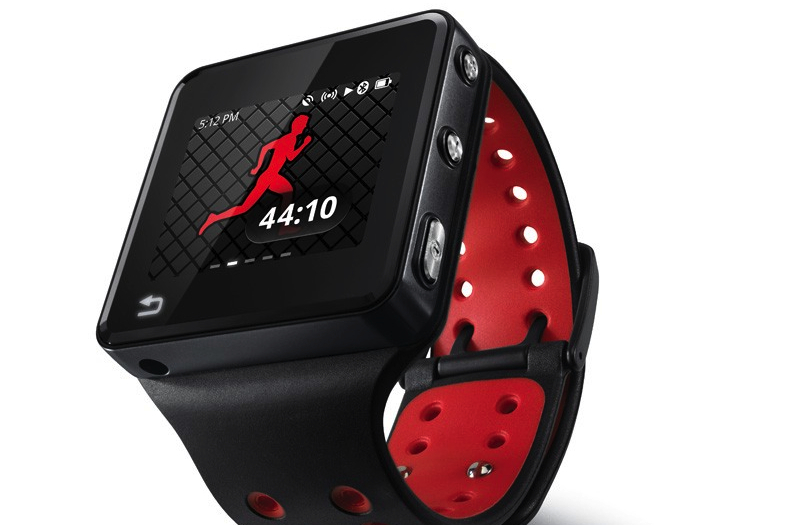 So, what’s the future of the smartwatch? It’s possible that Microsoft returns to this market, especially after acquiring Nokia’s devices and services division on Monday for $7.17 billion, but it’s far more likely that both Apple(s aapl) and Google(s goog) will do so first. I think these two companies have the best chance of truly disrupting the wearables space because they’re both in a position to change the definition of a smartwatch. Apple’s forte is in mobile apps thanks to its strong developer base and tool set. It also has a wide reach for providing those apps. 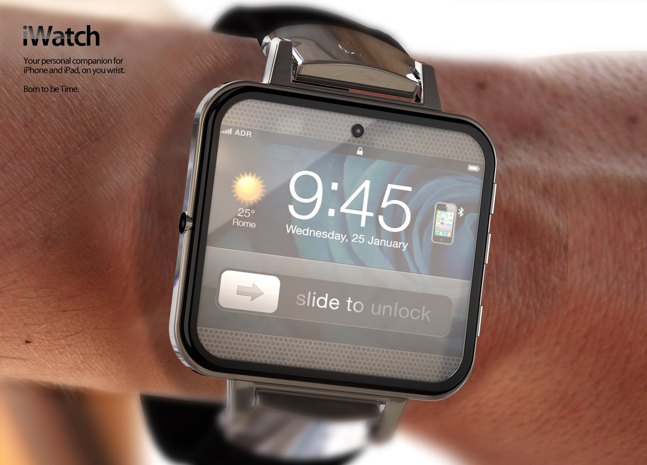 If anyone is going to crack the “useful apps on the wrist” market, my money is on Apple. But I’m personally not sure I want apps on my watch. I have enough devices that run apps: a smartphone, tablet, and laptop. Apple also redefined the smartphone market through the iOS breakthroughs in mobile user interfaces; something that’s key for truly mainstream smartwatch. Google has improved its own mobile UI and it has something else unique to offer: More user information than perhaps any other company. That’s why I’ve suggested Google can change the smartwatch market by building a watch around Google Now and various sensors. Google Now is certainly useful on a smartphone or tablet, but the value increases by a magnitude on a wearable such as Google Glass or a potential smartwatch, perhaps built on WIMM’s efforts. 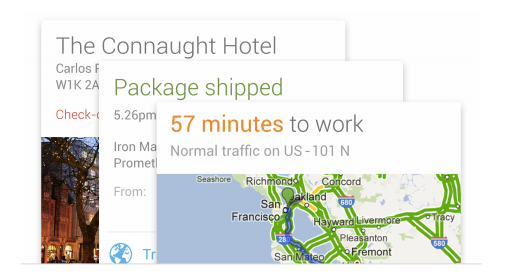 Combine the context of where you are with when you’re there and it’s a superb concept that could work great on a smartwatch, one that I’ll make for on my wrist if Google chooses to build it. Either way, no matter who becomes a leader in this space — Samsung, Google, Apple or an upstart like Pebble — they can all trace back to SPOT, a Microsoft idea that just like the Tablet PC from 2001, was in the right place at the wrong time. Typical M$ process: any REAL innovation is doomed — they’re a follower not a leader.